Originally marketed in the UK as a five star golf resort for expats, the new owner of Corvera Golf in Murcia is turning to social housing for impoverished Spaniards as the crisis bites. The local Spanish press reports that Antonio Rizo, who appears to be the new owner of Corvera Golf resort in Murcia, is planning to rent out 150 homes to evicted families, long-term unemployed families with kids, women victims of domestic violence, and young adults who can’t afford to buy their own home. Rents will be just 150 Euros/month. During the boom, Covera was marketed in the UK by the then developer Calidona (who still appears to own Roda Golf Resort in Murcia), through sales offices in London’s Kensington & Chelsea. With a golf course designed by Olazabal, 450 of the 1,100 homes built at Corvera were sold, mainly by Britons during the boom, and more recently, to Scandinavians taking advantage of lower prices. The expat owners at Corvera are concerned about the impact social housing rentals will have on the resort and property values. Social housing drags down the image of the resort, and was never part of the plan. Residents complain the developer is boasting about resort services whilst falling behind on community fees. “He is promising future tenants 24-hour security, pools, gardens, tennis and padel courts, for which he hasn’t paid so much as a Euro in more than a year.” Residents worry they soon lose essential services because the developer is in arreas. I wrote about problems at Corvera Golf back in 2010, when the previous developer was running into financial trouble and British buyers were trying to pull out of their off-plan contracts. The writing was on the wall. Since then Calidona – the original developer – has dumped the project, no doubt at a huge loss, and Polaris World – the mega-developer of resorts in Murcia – has folded, with the banks taking over all its developments. 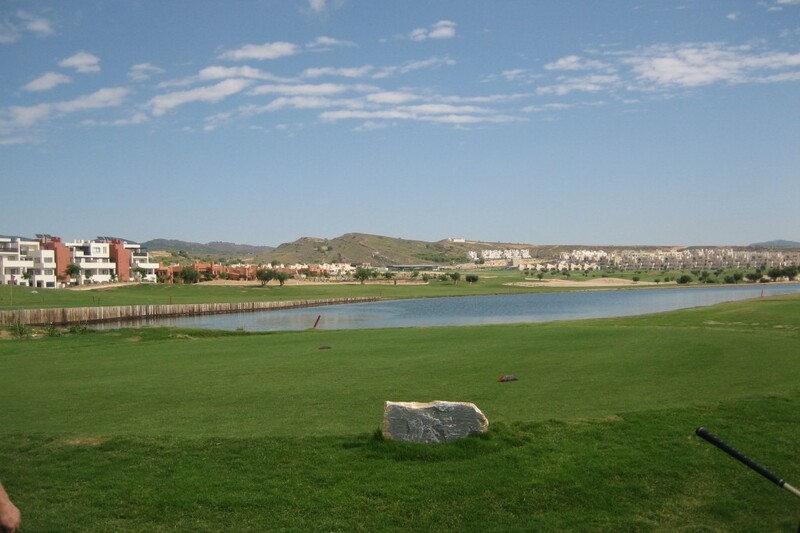 This raises a big question, namely, how sustainable are residential golf developments in a place like Murcia?